Payroll and payroll taxes can be one of the largest expenses a business owner can have. Financial Connections offers business owners’ personalized, responsive payroll services providing owners with a piece of mind that their taxes and employees are being paid timely and accurately. We stay current on constantly changing payroll tax laws and rulings that the federal, state and local agencies impose. Financial Connections advantage over other small business payroll companies is that we are not only here when you need a last minute paycheck created but we can also put your complete payroll directly into your financial accounting software so there is no need to re-do in your software the entries for payroll that we have already completed for you, saving you time and money and frustration of the accuracy of the entries. We can produce your payroll directly in your software by allowing us to place your file on our server; this also allows you to print your paychecks directly at your office, saving you money on postage and the time it takes to receive a paycheck in the mail from most payroll companies. We handle all your payroll, payroll reporting and payroll tax payments for you, on-time, to all federal and state agencies. We also handle all your payroll and general liability audits for you as well as well as respond to taxing agencies inquires. So if you are looking for a payroll provider that is cost-effective, reliable, accurate and flexible then call us today for a free consultation. Financial Connections provides payroll processing assistance to the human resources department of many small and medium sized businesses by helping them out in the correct processing of weekly, bi-weekly, bi-monthly, or monthly payroll. Financial Connections offers customized payroll processing services that are flexible for our clients unique needs. We also offer solutions for businesses struggling with payroll calculations, deductions, taxes and more. For business owners that want to process their own payroll, Financial Connections offers a full service online solution that lets your process your payroll from any computer in the world. Many businesses that come to Financial Connections decide to outsource their payroll functions to an outsourcing service like our simple payroll service or our fully managed payroll service. Many businesses have found that they can save valuable dollars by outsourcing their payroll to us. We have found that business owners who took on the responsibility of doing their own payroll found that when they contracted with us, they were once again able to focus on the things that made their company money. 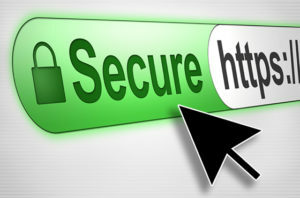 Financial Connections provides a secure online payroll application that allows our customers 24/7 access to their financial and payroll system, from anywhere in the world. The convenience of having unlimited access to your payroll ensures that you can change, update and manage your process whenever you need to. 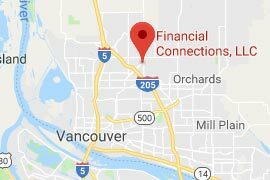 Financial Connections has become a trusted provider of outsourced small business payroll processing, tax filing, and tax payments. If you’re tired of playing the role of payroll manager, contact Financial Connections, we offer Free Consultations, and are here to help. 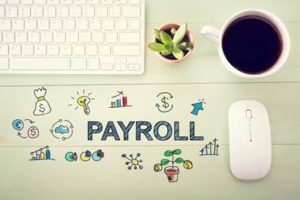 When you need an expert in payroll administration at your side; one that can handle all of your payroll outsourcing and employee payroll needs while freeing you up to concentrate on growing your business, give Financial Connections a call.